Image size: 16 x 26 cm. 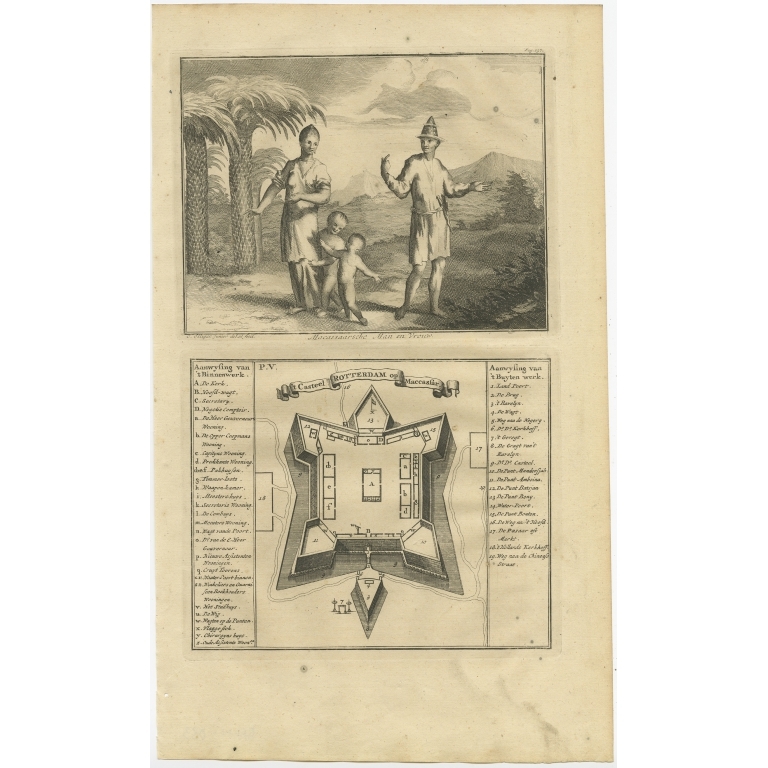 Description: Antique print Indonesia titled 'Casteel Rotterdam op Maccassar - Macassaarsche Man en Vrouw'. 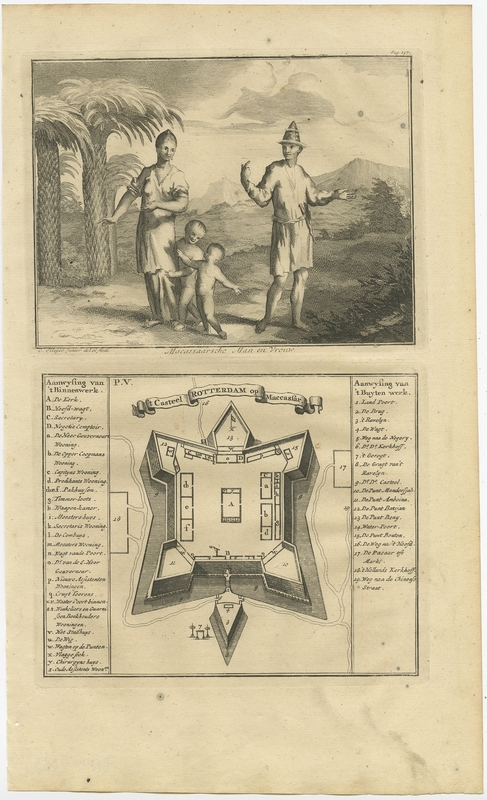 Two engravings on one sheet depicting a Macassar Couple and the Fort on Rotterdam Island, Macassar. This print originates from 'Oud en Nieuw Oost-Indiën' by F. Valentijn.